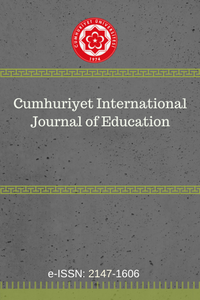 This paper examines the role of L1 transfer in second language acquisition process. It aims to investigate if adult Turkish L2 learners of English make use of their L1 parameter values while dealing with the target subject-matter in L2 or not. It specifically focuses on four island constraints (Wh-island Constraint, Complex NP Island Constraint, Adjunct Island Constraint and Sentential Subject Constraint) in the target language. The data were collected through a grammaticality judgment test and a wh-question formation test from two learner groups (advanced, N:66; intermediate, N: 68) and a control group (N:58). The results of the study showed that the participants make use of the parameter values of the target language rather than leaning on the ones that their native language possesses. Their performance on the target subject-matter was rather similar that of the control group members. The argument & adjunct asymmetry that exists in their mother tongue was not observed in their L2 productions. These results show that their second language acquisition process is constrained directly by UG rather than indirectly through L1. Adger, D. (2003). Core syntax: A minimalist approach, Oxford: Oxford University Press. Akar, D. (1990). Wh-questions in Turkish. Unpublished M.A. thesis, Boğaziçi University, İstanbul. Al-Thubaiti, K. (2007). “Age effects on the acquisition of uninterpretable features by proficient Saudi Arabic speakers of English.” In: N. Hilton, R. Arscott, K. Barden, A. Krishna, S. Shah, and M. Zellers (eds.). The proceedings of the 5th University of Cambridge Postgraduate Conferences in Language Research, 1-8. Cambridge: Cambridge University Press. Aoun, J. and Li, Y.A. (1993). “Wh-elements in-situ: syntax or LF?” Linguistic Inquiry, 24 (2): 199-238. Bond, K. Gabriele, A. Fiorentino, R. and Banon, J.A. (2011). “Individual differences and the role of the L1 in L2 processing: An ERP investigation.” In: J. Herschensohn and D. Tanner (eds.). The proceedings of the 11th Generative Approaches to Second Language Acquistion Conference. 17-29. Somerville, MA. Clahsen, H. and Muysken, P. (1986). “The availability of universal grammar to adult and child learners: A study of the acquisition of German word order”. Second Language Research, 2: 93-119. Clahsen, H. and Hong, U. (1995). “Agreement & null subjects in German L2 development: New evidence from reaction-time experiments”. Second Language Research, 11: 57-87. Chomsky, N. (1973). “Conditions on transformations”. In: S. Anderson and P. Kiparsky (eds.). A Festschrift for Morris Halle (232–86). New York: Holt, Reinhart and Winston. Han, Z. H. (2004). Fossilization in adult second language acquisition. Clevedon: Multilingual. Hawkins, R. and Hattori, H. (2006). “Interpretation of English multiple wh-questions by Japanese speakers: A missing uninterpretable feature account.” Second Language Research, 22 (3): 269–301. Kiparsky, P. and Kiparsky, C. (1970). Fact. In M. Bierwisch and K. Heidolph (eds. ), Progress in Linguistics (69-76). The Hague: Mouton. Kong, S. (2005). “The partial access of universal grammar in second language acquisiton: an investigation of the acquistion of English subjects by L1 Chinese speakers”. East Asian Linguistics,14: 227-265. Kornfilt, J. (2003). “Unmasking the Sentential Subject Constraint in Turkish”. In A.S. Özsoy, D. Akar, M. Nakipoğlu Demiralp, E.E. Erguvanlı Taylan and A. Aksu Koç (eds.). Studies in Turkish Linguistics (95-105). İstanbul: Boğaziçi University Press. Kornfilt, J. (2008). “Some observations on Turkish/Turkic RCs”. Presented as a paper in Leipzig Spring School on Linguistic Diversity; MPI-EVA Conference, Leipzig, Germany. Long, M. (2007). Problems in SLA. Mahwah, New Jersey: Lawrence Erlbaum Associates. Meisel, J. (1997). “The acquisition of the syntax of negation in French and German: Contrasting first and second language development”. Second Language Research, 13: 227-263. Mendez, T. L. and Slabakova, R. (2012). “The Interpretability Hypothesis again: A Partial replication of Tsimpli and Dimitrakopoulou (2007)”. International Journal of Bilingualism, 1 (1): 1-21. Montrul, S. Foote, R. Perpinan, S. Thornhill, D. and Vidal, S. (2006). “Full access and age effects in adult bilingualism: An investigation of Spanish accusative clitics and word order”. In: N. Sagarra and A. J. Toribio (eds.). In the proceedings of the 9th Hispanic Linguistics Symposium (217-228). Somerville, MA: Cascadilla Press. Özsoy, S. (1996). A’ dependencies in Turkish. Presented as a paper in VI. Turkish Linguistics Conference. The School of Oriental and African Studies, London, The United Kingdom. Ross, J. R. (1967). Constraints on variables in syntax. Unpublished doctoral dissertation, Massachusetts Institute of Technology, Cambridge, MA. Rothman, J. Iverson, M. And Judy, T. (2009). “Bound variable, split antecedent and ellipsis interpretations in L2 Portuguese: implications for L2 acquisition theories”. Estudos da Lingua, 7 (2): 261-300. Rothman, J. Judy, T. Fuentes, P.G. and Pires, A. (2010). “On The (Un)-ambiguity of adjectival interpretations in L2 Spanish: Informing debates on the mental representations of L2 Syntax”. Studies in Second Language Acquisition, 32: 47-77. Sauter, K. (2002). “Transfer and Access to universal grammar in adult second language acquisition”. Unpublished PhD Dissertation, University of Groningen, Groningen. Schachter, J. (1989). “Testing a proposed universal”. In: S. Gass and J. Schachter (eds.). Linguistic perspective on second language acquisition. Cambridge: Cambridge University Press. Schachter, J. (1990). “On the issue of completeness in second language acquisition”. Second Language Research, 6: 93 - 124. Schafer, R. (1995). “Negation and verb second in Breton”. Natural language and linguistic theory, 13: 135-172. Schwartz, B.D. and Sprouse, R. A. (1996). “L2 cognitive states and the Full Transfer/Full Access model”. Second Language Research 12: 40-72. Tanner, D. (2008). “Agreeing that agreement isn’t the problem”. In: M. Bowles (ed.). In the proceedings of the 2007 Second Language Research Forum (22-34). Somerville, MA: Cascadilla Press. Tsimpli, I. M. Dimitrakopoulou, M. Roussou, A. And Kalaintzidou, M. (2003). “Clitics and determiners in the Greek L2 Grammar”. In: J.M. Liceras, H. Zobl and H. Goodluck (eds.). The proceedings of the 6th Generative Approaches to Second Language Acquisition Conference (331-339), Somerville, MA. Tsimpli, I. M. and Dimitrakopoulou, M. (2007). “The Interpretability Hypothesis: evidence from wh-interrogatives in second language acquisition.” Second Language Research, 23 (2): 215-242.